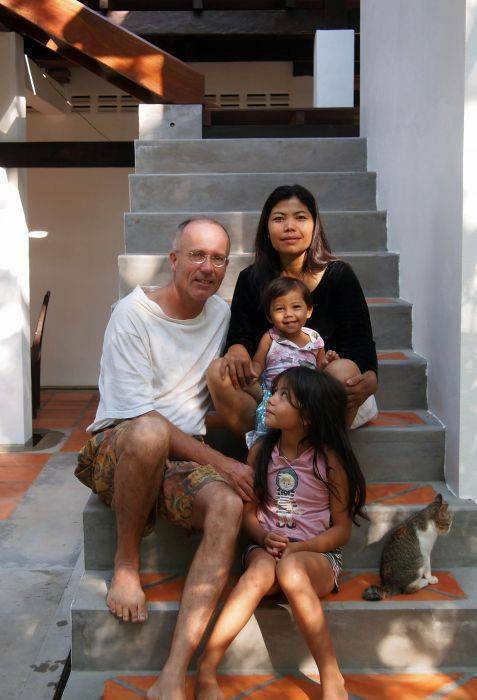 Come and stay with us in our Angkor home and get to know the family. 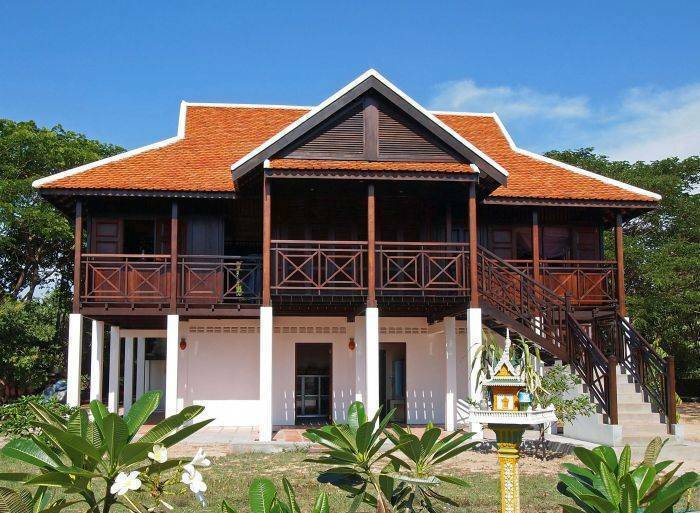 We're offering real homestay accommodation for visitors to the temples of Angkor and to anyone else who is coming to our hometown Siem Reap whether for business, leisure or to volunteer at one of the numerous humanitarian organizations (NGOs) in the area. Artists and scientists who come here for work will find us very responsive to their needs too. 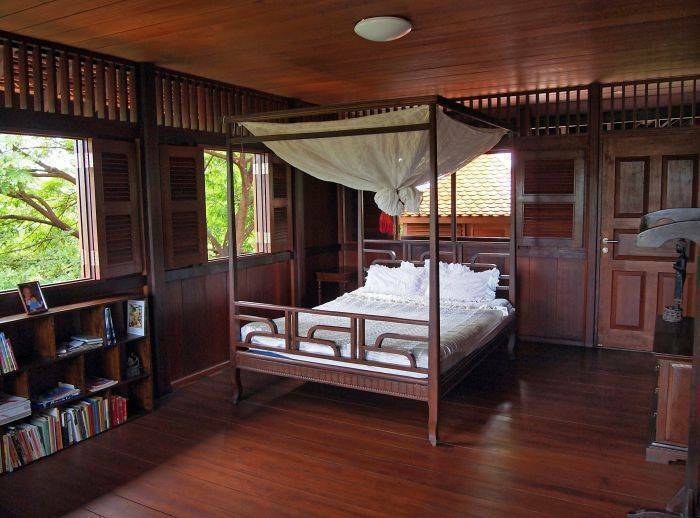 We have a large all wooden guest room 4x6m with the bathroom close by and offer delicious Cambodian/western home cooking at competitive prices. Since we're situated in the countryside just about midway between downtown Siem Reap and Angkor Wat – some three kilometers either way inside the pristine Angkor Archaeological Park – we also offer bicycles free of charge for our guests. Also included are local transportation to and from our place by car, laundry service, internet access and Western style breakfast. Feel free to check our reviews on TripAdvisor. Couples and families are very welcome. We can place up to two extra children's beds in the room for a modest fee. For visiting artists we can arrange studio facilities. Besides that we organize special guided tours by car and similar transportation arrangements at negotiable prices, and Channa happens to be a trained masseuse in the Japanese Shiatsu massage technique. 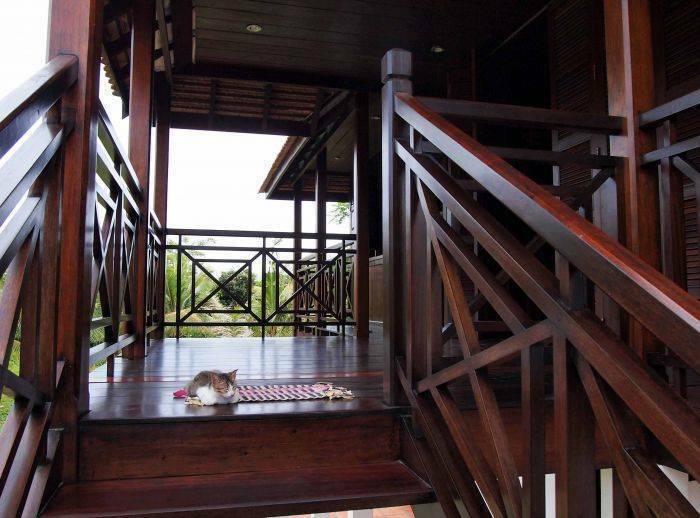 Rates are $20USD per night for single occupancy, $30USD for double including Western style breakfast. Children are $5USD per child. Deliciously home cooked lunch or dinner Khmer or Western style by Channa can be ordered at $6USD per meal, $2USD for child menu (up to 12 years). All inquiries from one night up to nine months will be considered. For long term stays, please contact us directly for special discounted rates. We are happy to help facilitate your volunteer experience here free of charge and will always try to provide you with all the relevant and updated background information about our area and its attractions to make your visit here an authentic and memorable one. We also have a cottage standing separately a little away which can be equipped with a bed, mosquito net and a light for those backpackers and budget travelers who wish to live secluded and experience local life first hand while visiting. The cottage is suitable for single as well as double occupancy and comes at $5USD per person per night with access to shared bathroom. Western breakfast with home baked bread comes at $4USD and good quality bicycle at $2USD per day. Further services available upon request and after special arrangement/negotiation. Our property has a large spacious guest room which is beautifully decorated. It comes with a floor fan and mosquito net around the bed. The bathroom is conveniently located outside and you have exclusive access to this. The house was designed and built between 2006 and 2010 by the owner who is a Danish architect. Our single/double room in the main house is very spacious at 4m x 6m. 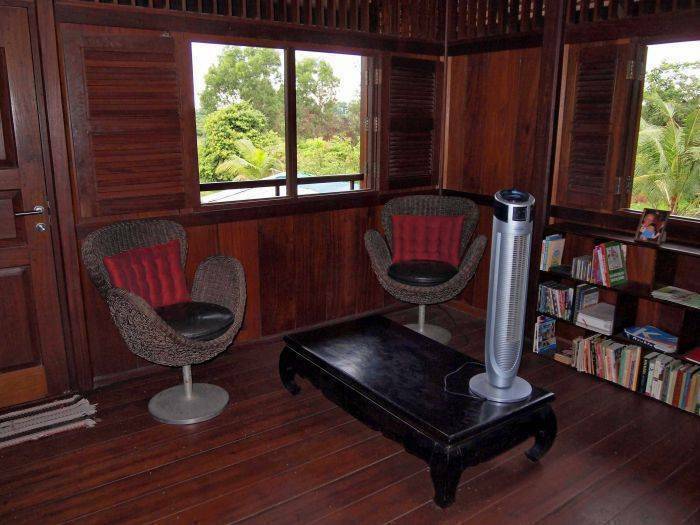 It is all tropical hardwood and nicely decorated and is ideal for people looking for that homely feeling. The bathroom is just outside the door. Our cottage / studio is situated a little apart and contains only basic amenities (bed, mosquito net, fan, one light). This is ideal for budget travelers, volunteers or visiting artists looking for a studio in absolute quiet and unspoilt, natural surroundings. There is access to bathroom and possibly kitchen after special agreement. We are located in a quiet location only 3km from Angkor Wat, the town center of Siem Reap is 4km in the opposite direction. We are uniquely situated inside the UNESCO listed Angkor Archaeological Parkand surrounded by lush natural tropical vegetation. 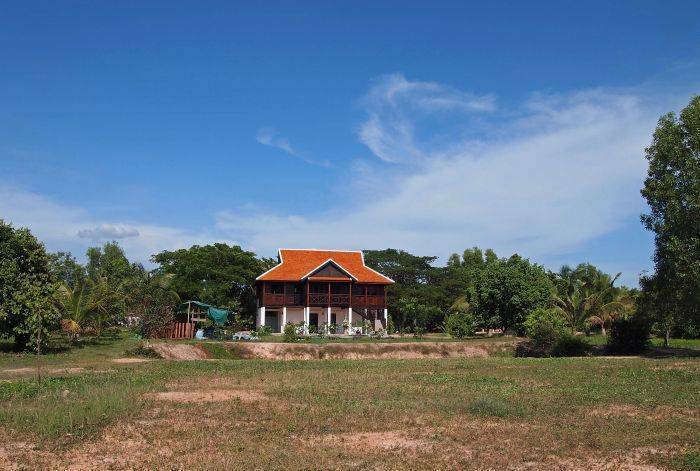 Our homestay is situated 2, 5km from the Angkor Wat Temple. Our village is called Trapeang Ses. Our homestay is available by taxi or tuk tuk. Please email us or call us to arrange a pick up for you.